Central Board of Secondary Education (CBSE) has decided to introduce new subjects as a part of the curriculum for the upcoming academic year, to keep up with the growing importance of technology and health. Subjects like Artificial Intelligence (AI), yoga and Python (high-level programming language) will be introduced as optional skill subjects for students of Classes VIII, IX and X. The intention is to make the children future ready, officials said. The board realized that AI has a geo-strategic importance, and it was high time to introduce these concepts to children at an early age. And so, AI will be introduced as an optional subject for Class IX. However, if a particular school deems it fit, it can also be introduced in Class VIII. "To enhance the multidisciplinary approach in teaching learning and also to sensitize the new generation, it was decided that school may start AI "Inspire module" of 12 hours at Class-VIII itself," CBSE circular reads. Notably, the optional subject comes to play in Class-X basically. When a student fails in any one- Science, Mathematics or Social Science- they can replace it with the optional/sixth subject. Although this move may help equip CBSE students for the future, an organic spread of literacy about AI in schools is the need of the hour. Mark Nelson, IT department head, Shiv Nadar School, says, "There is a need for overall information literacy at the school level. Teachers need to be equipped with AI learning as an application tool and also as a subject." What are Artificial Intelligence and Python? 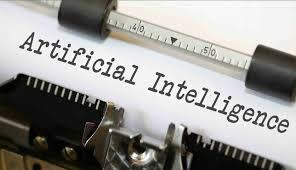 While AI, an area of computer science, works to create human-like intelligence in machines, Python is a general-purpose programming language. iPhone's Siri, Amazon's Alexa and Google Home, all driven by AI, have become a part of our daily lives. Meanwhile, Python, first released in 1991, has become popular in the modern world for being a simple programming language and friendly for even non-programmers.